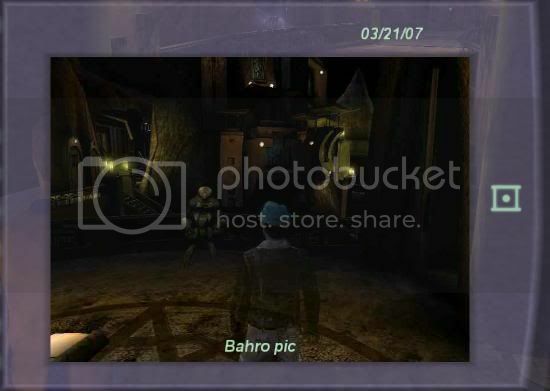 Myst Online: URU Live Forums • View topic - Any Bahro Sightings in Neighborhoods...? Any Bahro Sightings in Neighborhoods...? I. LOVE. EVERYONE. AT. CYAN. I heard that the original sender wishes to remain anonymous... but does anyone know the context in which the picture was taken? What the bahro did or where it went? Any details like that? So who was it claiming that there was no Bahro model and that it was impossible for one to appearin Relto? Well, they're not TERRIBLY anonymous. It could be one of 9 people. Why? That's a ResEng hat. Wow! Now that, that is TOP NEWS right there. ... can't sleep, Bahro will eat me. The innocent have nothing to fear from the Bahro. It makes sense. Cyan does have a tendency with MOUL to start rumors themselves, so why not a ResEng see it? Of course, if the DRC finds out that a ResEng spread this picture... let's just say they might not be that happy. Not afraid, no, but the Bahro have always been a little bit creepy. I'm one of those who tried to feed 'em cookies at the original Yeesha vigil remember? Hehe. Which reminds me - we should get ireen here to speak with them! Whatever else might be true of Ireenquench, I DON'T think she knows how to speak in Bahro. I don't think anyone does, other than them. Come to think of it, I don't think it's even POSSIBLE for us to make the sounds necessary to communicate with the Bahro. I would say so. It's sort of what I do. By 'communicate' I meant "speak to" not "write to." We do know some rudimentary symbols in the Bahro's written language. We don't know anything about their meaning, however. What we need, is a "rosetta stone"